All too often, issues with a centrifuge’s separation process aren’t related to the centrifuge itself, but instead with the components around it. When it comes to troubleshooting and diagnosing a process problem, some technicians look to the machine first, but this is not the most efficient or effective way to go about things. When it comes to assessing and diagnosing a process problem, most technicians follow an order of operations or a particular set of steps to try to locate an issue. In my experience with centrifugal separators, I’ve found it’s best to check areas outside the machine before opening it up. Remember, separators operate with a flow going to the machine, and that flow relies on numerous functions, including back pressure, operating water pressure, air pressure, and valves. All of these functions impact your separation process, and if one isn’t functioning properly, your separation process is not fully optimized. Luckily, these components can be assessed without having to tear the machine down. This idea of looking at the areas around the machine first is built on efficiency. You see, taking apart a separator and taking down the bowl halts production for hours, but assessing outside components (water pressure, air pressure, valves, etc.) requires a fraction of the time. More often than not, the issue causing a centrifuge to underperform is outside the machine. But, your run-of-the-mill centrifuge service technician isn’t trained in the approach. But, we are. 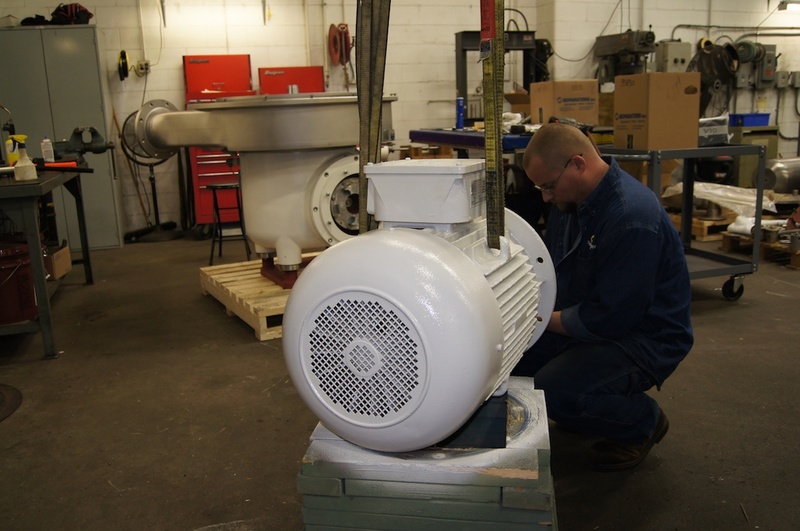 The Technical Service Group at Separators, Inc. is a group of expert-level technicians who know the centrifuge and its surrounding components. When a centrifugal separator is plumbed incorrectly, odds are a standard technician won’t be able to solve the issue. But the members of the Technical Service Group understand the process of every application and the possible layouts of a separation system. They can assess whether separation equipment is installed correctly and adequately plumbed. Even more than that, they can repair these issues, too. Instead of getting caught up in equipment issues and finger pointing, it’s well worth your while to work with someone who’s capable of handling the whole works: assessing, troubleshooting, diagnosing, and resolving. This way, you can reduce downtime and resume production on a much tighter timeline.